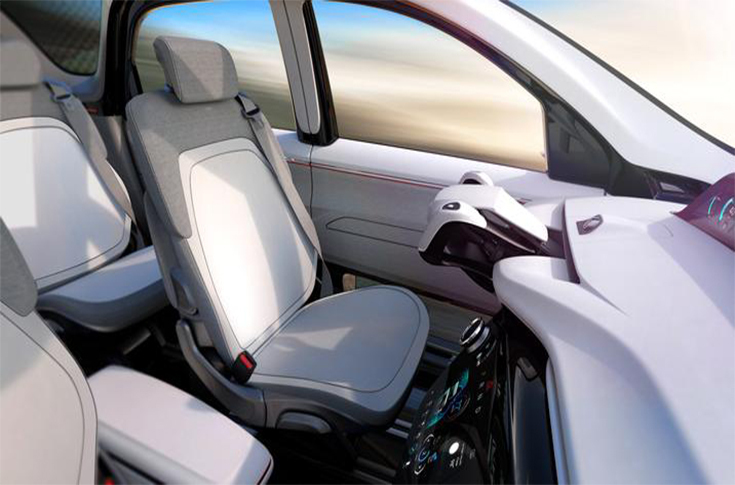 The 25thITS World Congress, hosted by the City of Copenhagen, provided a key annual opportunity for “temperature taking” for advanced transport technologies, including connected and automated vehicles. The hosts injected a strong flavor of “mobility-as-a-service” and sustainable mobility. In Europe, new technologies are valued for their contribution to green, active transport, as well as the safety benefits so strongly supported here in the U.S. The city infrastructure is designed to encourage bike use and successfully integrates large-scale bike riding with public transport and cars. Attention is turning more to pedestrians, and traffic control technologies that address pedestrians more explicitly. Whether representing cities, states, provinces or national governments, policy makers are fully embracing new technologies in vehicles, and throughout the transport system. Technologies such as automation and connectivity are prompting serious activities on the part of public agencies. It is important that they include CAV preparation in their business-as-usual, but also in changing the way they do business in the future. Such agencies are taking a vital interest in the development of highly-automated vehicles, and the way they are tested. Do the testing conditions selected by manufacturers relate well enough to the conditions represented in their own networks? The range and complexity of necessary conditions for vehicle testing facilities are exponentially greater than ever before. This requires collaboration between the many CAV test beds in the U.S., and in other countries. The ITS World Congress has become an important forum for such relationships to develop, and to seek the right balance between standardization and diversity of AV testing. The Story: The Smart Mobility Living Lab will make use of a set of real-world test routes in and around the Royal Borough of Greenwich and the Queen Elizabeth Olympic Park. A consortium of companies from different industry sectors will come together to test technologies and mobility services, including electrified and automated vehicles. The Takeaway: Insurance companies, Aviva and Hastings Direct, are joining forces with oil and gas giant BP and Honda R&D Europe to accelerate the development of future transport systems for smart cities. They are looking for complex operating environments to accelerate the design of sustainable transport systems. They will develop, test and validate new road transport technologies, services, and business operating models that will underpin the transformational change taking place in transportation. The Story: At the recently concluded 2018 ITS World Congress (Copenhagen), Ficosa along with Panasonic, presented the smart city simulation CityNow that Panasonic is developing in Denver. The Takeaway: CityNow is highly scaleable and will be the first to deploy C-V2X (Cellular Vehicle-to-Everything) technology on a large scale in the United States. 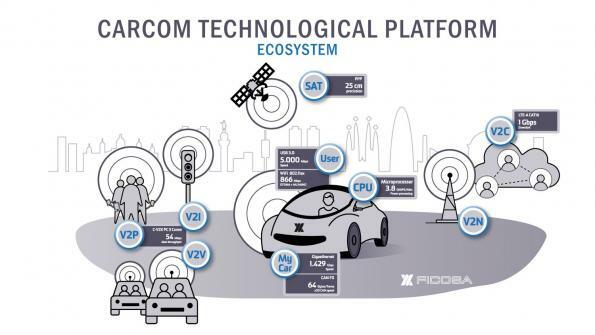 Ficosa and Panasonic presented the technology platform, which allows the integration of different connectivity solutions in a modular manner in order to enable vehicles to directly communicate with the new technologies that will define the future of mobility (V2X, high-precision positioning, antennas with digital synchronization, and also 5G technology). The Story: The Renault-Nissan-Mitsubishi auto alliance announced it is partnering with Google to embed the Android operating system in its future vehicles. The three automakers and their sub-brands plan to bring the Android-based infotainment system to customers starting in 2021. 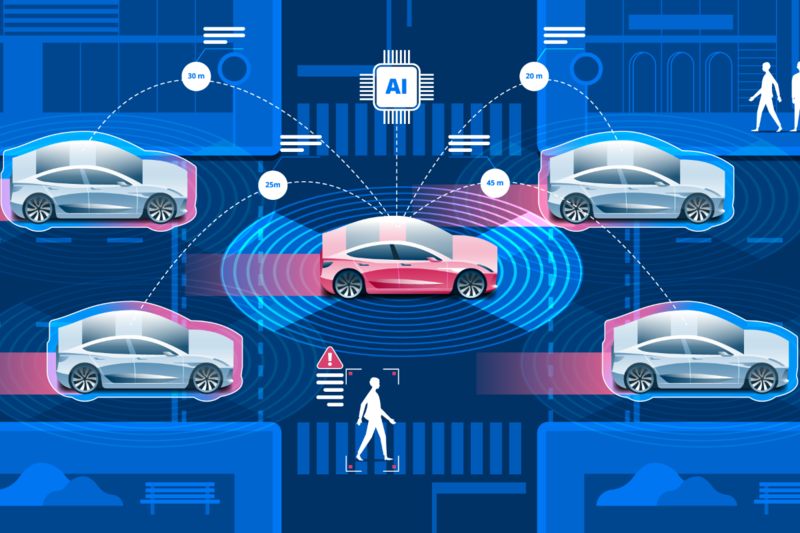 The Takeaway: The partnership will focus on integrating cloud-based systems – the Alliance Intelligent Cloud – and vehicle connectivity. The Alliance Intelligent Cloud can help allow for data management, over-the-air upgrades, and remote diagnostics. The Android-based operating system will be updated along with its suite of apps from Google and other developers. The Story: A new company called Next Future Transportation has launched a driverless vehicle that it describes as an automated “Parcel Delivery Solution.” The vehicle could also be used as a minibus for transporting people. The highly-innovative design combines automation, electrification, connectivity, and logistics to greatly expand options for parcel delivery. The Takeaway: The new groundbreaking automated logistics solution is aimed at the market for smart and connected cities. An assembly of modules is designed to “morph” during transit, eliminating static sorting at the point of origin and providing “just-sufficient” final delivery. Next adds that the vehicle is part of a fully automated multi-service “online-to-offline” platform, including a modular vehicle solution and the supporting operating system required to bring an ecosystem of logistics services to market at scale. The Story: FCA US (Fiat Chrysler Automobiles) has announced that the company has recently invested over $30 million for the development of a new 31-acre facility specializing in the development of automated driving and advanced safety technologies and their testing at its Chelsea Proving Grounds in southeast Michigan. The Takeaway: The facility will be able to accommodate testing for different levels of autonomy and the company will also be able to test FCA models using test protocols from third parties like the Insurance Institute for Highway Safety (IIHS), U.S. New Car Assessment Program (NCAP) and European New Car Assessment Program (EuroNCAP), as well as additional other automatic electronic brake test simulations. The highway-speed track will allow the development of automated vehicle systems and test them under a wide range of complex infrastructure environments, including those with obstacles, tunnels, different road lighting conditions, and interstate-style exit and entrance ramps. The Story: Electric scooters, shared dockless on-demand devices are expanding on the streets and sidewalks of downtown San Antonio, demanding enlightened Smart City policies appropriate infrastructure. The Takeaway: The micro-mobility revolution, now in its third wave in U.S. cities (bike share followed by ride share followed by scooter share), is disruptive. Disruption signals the arrival of a new technology, a new service, a new solution, that often lays bare previously ignored infrastructure and technology issues that need to be addressed for the Smart City future. The Story: Members of the public got a chance to ride one of the first automated shuttles operating in Western Canada. The Takeaway: The electronic automated vehicle, or ELA is set up to ferry passengers between the Calgary Zoo and Telus Spark. The vehicle runs in a pre-programmed route and is guided by sensors and GPS technology that help it move safely, without fuss along a fixed route.